This chart released by the New Buildings Institute, provides information on the EUI (Energy Unit Intensity) per square foot of space for a number of different use groups. 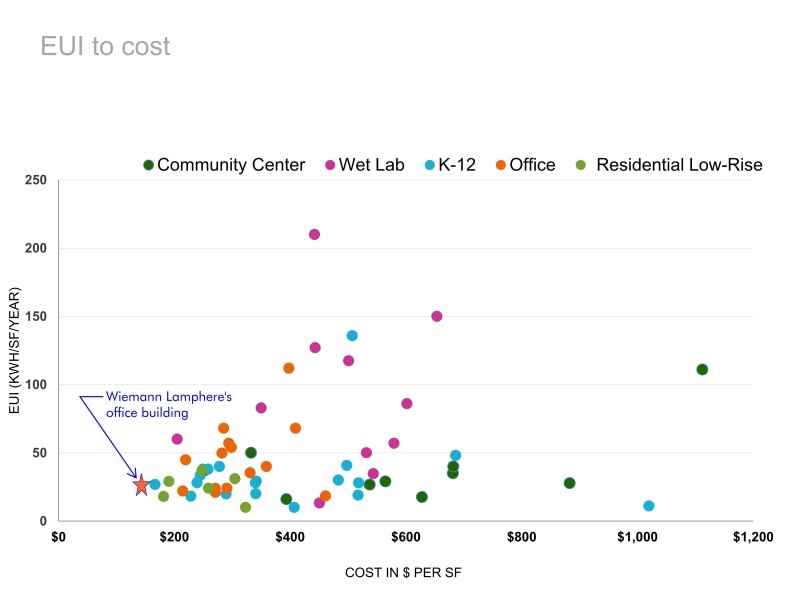 As you can see, the office building which Wiemann Lamphere Architects built in 2009 for our personal use has a lower EUI per square foot of space than those listed in the case study. This represents Wiemann Lamphere's willingness and ability to drive down building energy usage with the same (or lower) building construction budget than most buildings being built today. We strive to provide our clients with proper guidance to make long-term sustainable decisions which are beneficial to the economy AND the environment.